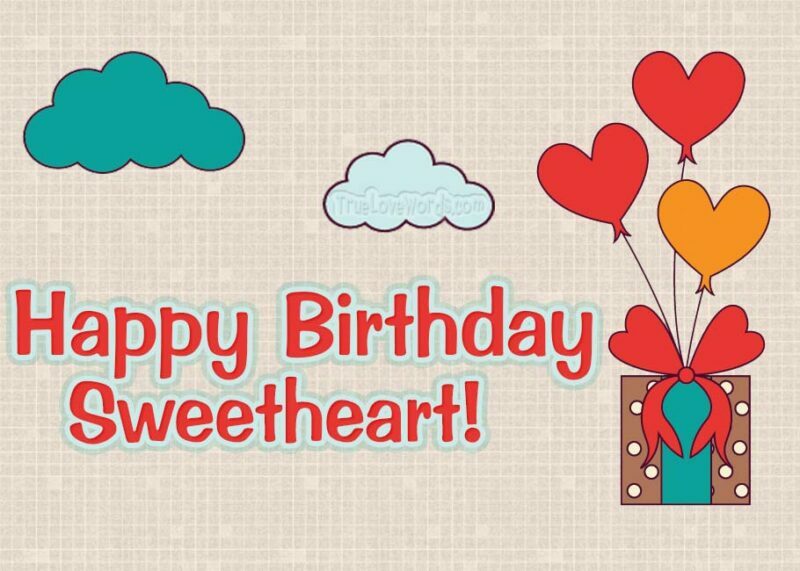 Send your cutest birthday wishes to your boyfriend. 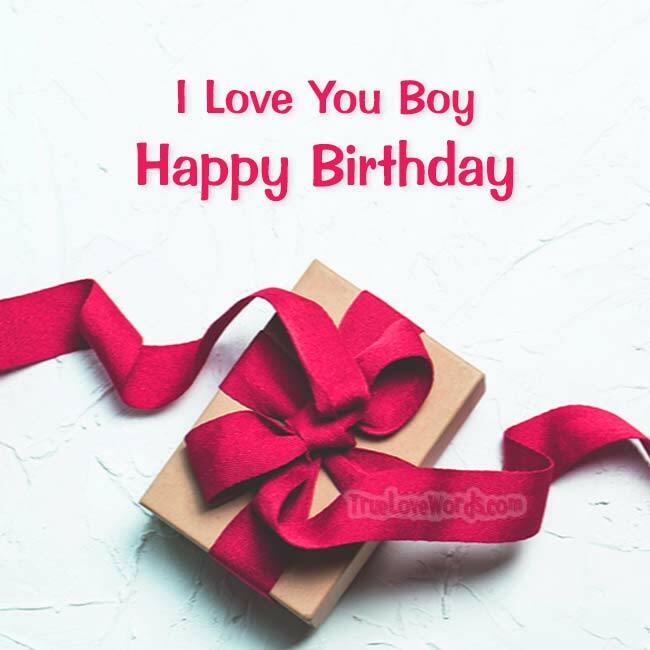 Browse between many cute and unique happy birthday wishes for boyfriend with awesome birthday images to share and make your him happy on his special day. It may seem simple, but birthdays come every year and it’s not very easy to be original when writing your birthday wishes. Pick the one you love and wish him Happy Birthday! ♥ I’m so thankful to have a boyfriend that’s as warm, compassionate, and understanding as you are to me. Happy birthday to the man I love! ♥ Your love is like a solid, unchanging rock. Thank you for always being there for me. 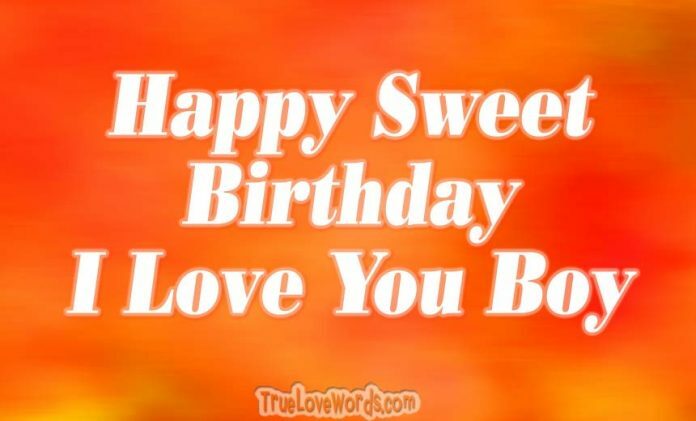 Today, on your birthday, I want to let you know how very special you are to me. 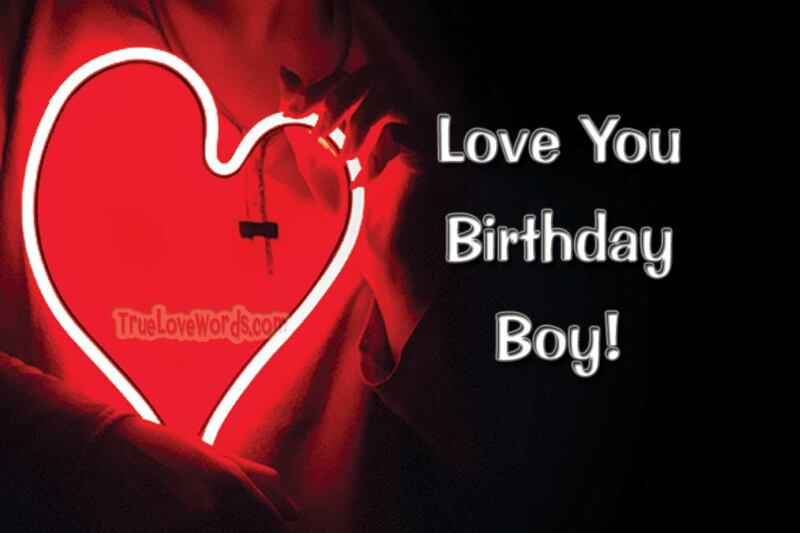 Happy sweet birthday I love you Boy! ♥ I admire so many things about you. Your dashing good looks, your charm, your sense of humor, but most of all your compassion. Thank you for being such an amazing boyfriend. Happy Birthday Sweetheart! ♥ Being in a relationship with a man like you has been truly life-changing. On your birthday and every other day I want you to know how incredibly blessed I feel to be your woman. ♥ There are no words I could use to describe the love we share. I’m so incredibly thankful for you. Happy Birthday to my one-of-a-kind guy! ♥ You stand out head-and-shoulders above anyone I’ve ever dated. I’m so excited to be in a relationship with you. Happy Birthday to the man I love with all my heart! ♥ I love you so much. You fill my world with excitement, pleasure, and joy. Happy Birthday to the best guy in the world! ♥ When it comes to boyfriends, you have it all. You’re handsome, smart, funny, strong, and incredibly sweet. 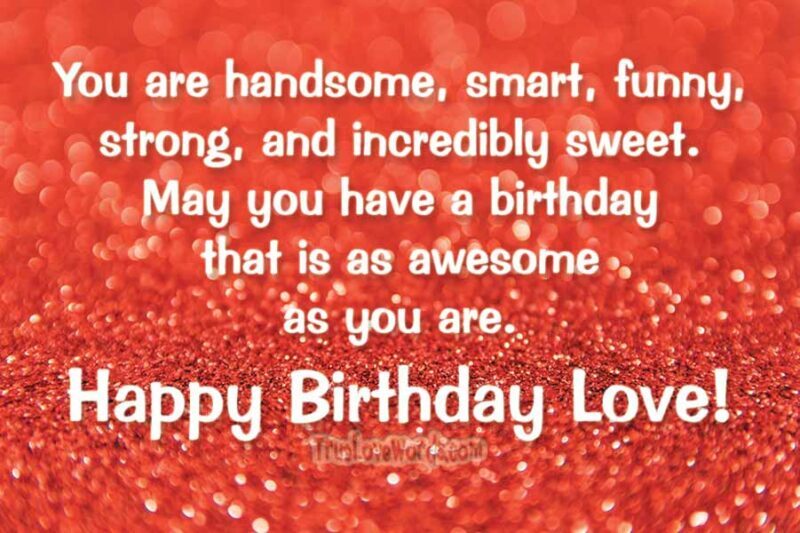 May you have a birthday that’s as awesome as you are! ♥ When we first met, I knew we had a lot in common. After all this time together, I continue to find more and more reasons that we just belong together. Today on your special day I want to thank you for being the one who completes me! ♥ You’re such an amazing man. I don’t know how you manage to always know the right thing to say. Thank you for all the love you show me every day. Happy Birthday, Sweetheart! ♥ Life with you is a dream come true for me! Today on your birthday I want to thank you for being the best lover and boyfriend ever! ♥ Having a boyfriend as sweet, kind, and enchanting as you are is the fulfillment of my wildest dreams. Happy Birthday my lover boy! ♥ Thank you for treating me like a princess. Today on your birthday I want to thank you for truly being my prince charming and my knight in shining armor wrapped into one! ♥ Men like you are truly a rare breed. You listen with understanding. You’re supportive and compassionate. For all that you are and all that you mean to me, I want to wish you the happiest birthday ever. I love you! ♥ You’re the most loving and caring man I’ve ever met. I feel incredibly blessed to be in a relationship with you. May you have the happy, incredible birthday you deserve! ♥ Each day we spend together makes me more and more sure that you’re the right one for me. May your birthday be filled with laughter and love. ♥ My life has gotten so much better since I met you. Today on your birthday I want to tell you just how thankful I am for your positive influence on me. I adore you! ♥ Loving you is like a wonderful adventure. The more I learn about you, the more deeply I fall in love with you. Happy Birthday, Darling! ♥ When it comes to love, you’re the expert. You truly know how to make a woman feel special. May your Birthday be as amazing as you are! ♥ Your incredible love fills me with awe. Thank you for being the best boyfriend I’ve ever had. Happy Birthday to my special guy! Life’s so much better since I’ve met you! Happy Birthday to my incredible man! ♥ When I look into your eyes I fall more and more head over heels for you. I can’t wait to show you on this special day just how much I love you! 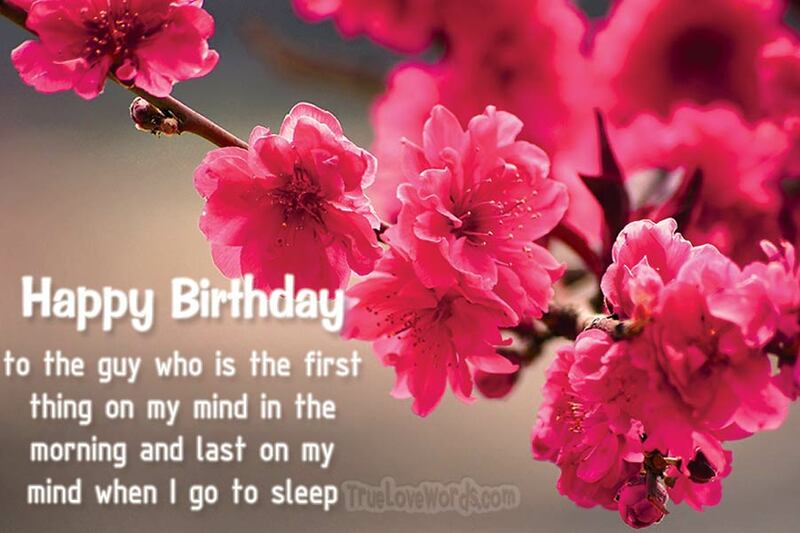 ♥ Happy Birthday to the guy who’s the first one on my mind in the morning and last one on my mind each night before I go to sleep. I’m so crazy about you that I even dream about you! ♥ How can I possibly hope to explain how much love I have for you? The whole world doesn’t seem big enough to contain all my feelings for you. Happy Birthday to the one who holds my heart in his hands! ♥ You and I are a perfect match. We complement each other in so many ways. May your birthday be a beautiful time to reflect on the incredible love we share. ♥ I’m so enraptured with your love. Thank you for being so free and willing to express your heart to me. Today on your birthday and all the year through, I want you to understand how thankful I am for you! ♥ I cherish all the special moments we’ve shared together as boyfriend and girlfriend. I feel so incredibly blessed to be with a kind, caring, and charming man like you. Happy Birthday, my love! ♥ Loving you comes naturally to me. Your jokes make me laugh until I cry. Your wit and wisdom impress and intrigue me. Your compassion fills me with warmth and light. Happy Birthday to my ideal man! ♥ Loving you is one of the best aspects of my entire life. You fill me with positivity and joy. Happy Birthday to the one whose love I treasure above all others. ♥ I’m so amazed that you and I found each other. It’s not every day that you meet your soul mate. Happy Birthday to the one who fills my heart with love! ♥ Your love is more precious to me than all the money in every bank in the world. 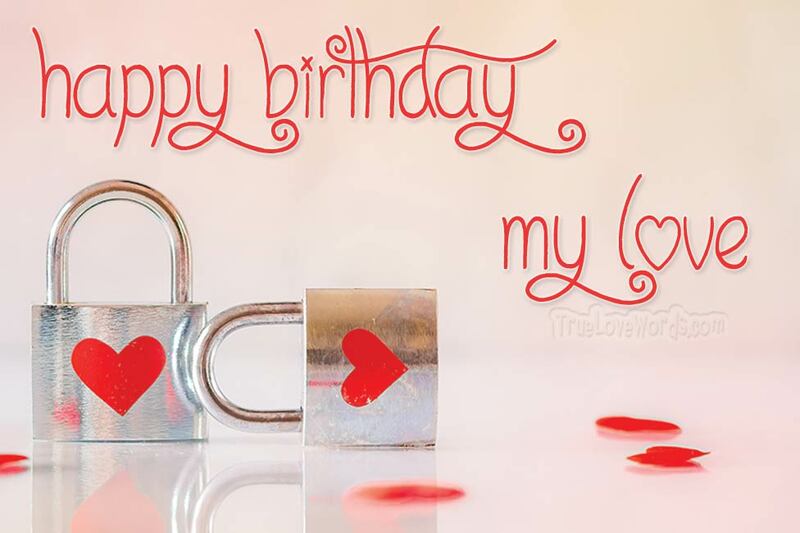 On your birthday and all year long I want you to know that you are my true treasure!